In today’s world of ever changing, ever-growing regulation, it is nearly impossible to keep up, but with good planning and effective technology, the challenge can be met. In this webinar, we defined the key steps in planning for and executing an effective regulatory change management capability. 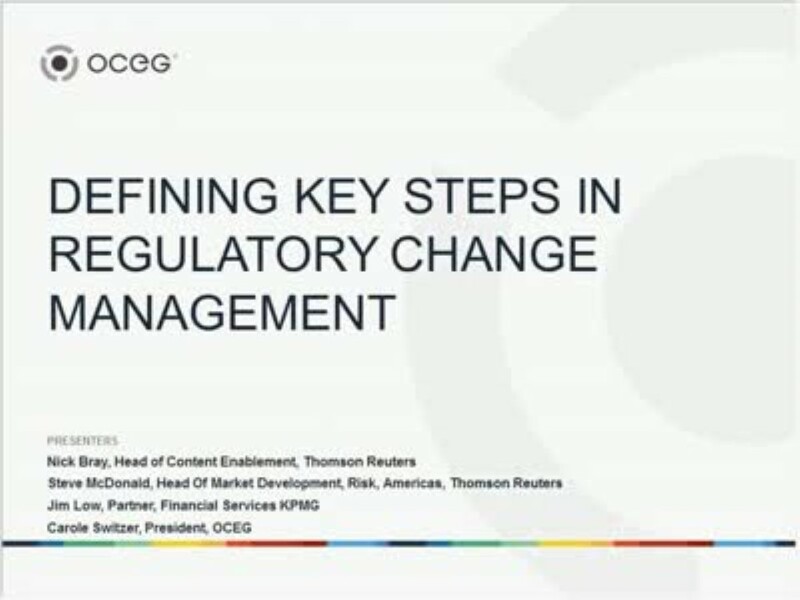 Join OCEG and experts from sponsor Thomson Reuters, for an in-depth look at advances in regulatory change management and gain information that you can apply in your organization today. We have emailed instructions to access Defining Key Steps in Regulatory Change Management to . Make sure the email arrives in your inbox: either add "support@oceg.org" as a safe sender to your email platform, or if you use Gmail, drag our email into your Primary tab.